One Eternal Day: "If one person smiles at me...."
.... Why do people die by suicide? Because they want to. Because they can. Dozens of risk factors banged down to a formula he shared with me in his office: “People will die by suicide when they have both the desire to die and the ability to die. ....a set of three overlapping conditions that combine to create a dark alley of the soul. ...[W]hat’s alarming is that each condition itself isn’t extreme or unusual, and the combined suicidal state of mind is not unfathomably psychotic. 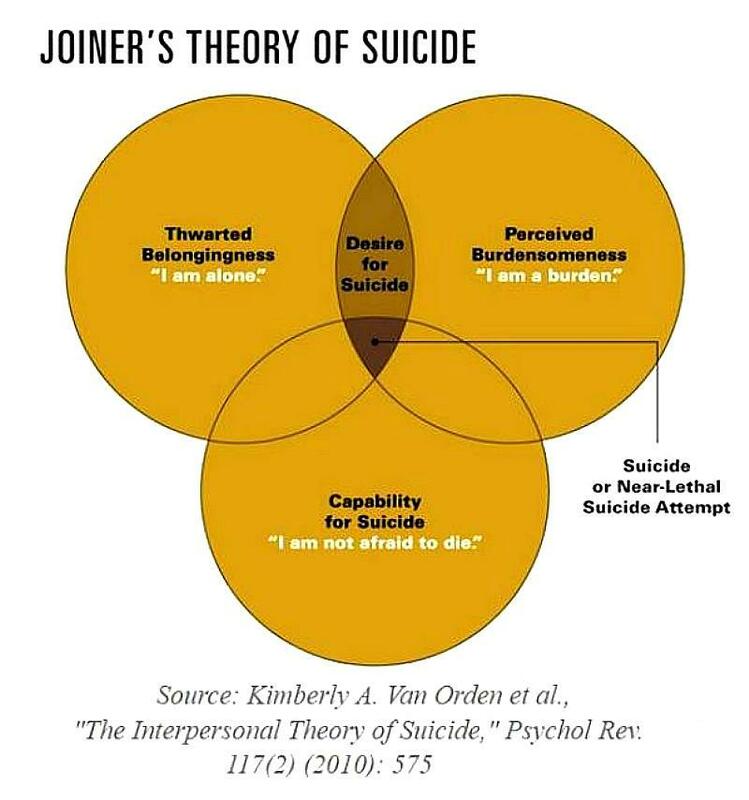 On the contrary, suicide’s Venn diagram is composed of circles we all routinely step in, or near, never realizing we are in the deadly center until it’s too late. 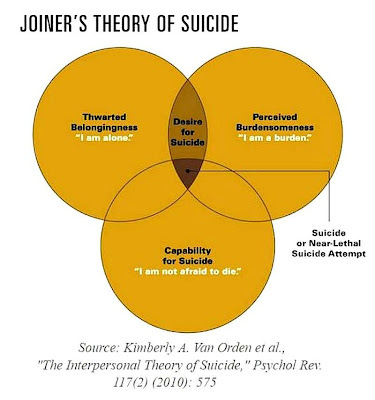 Joiner’s conditions of suicide are the conditions of everyday life.